1 Bedroom Flat For Sale in Farnham, Surrey for Guide Price £215,000. 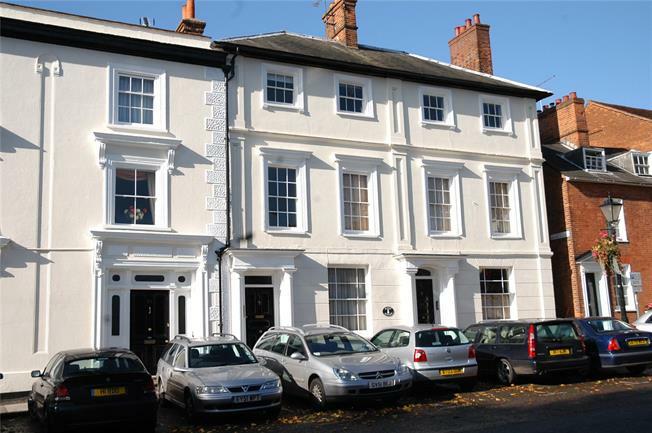 A charming 1 bedroom first floor apartment in this delightful Grade II listed period building Keep House. This property faces the rear of the building and has bright aspects in the sitting room and bedroom. there is a compact fitted kitchen and an internal bathroom, This would make a good first time purchase or an investment for rental being situated in the town centre. There is no onward chain and is available immediately. Castle Street is one of the most prestigious roads in Farnham with a mixture of predominately Georgian architecture, although many of the properties, including this house are much older with the later addition of a Georgian facade, creating uniformity to the street scene. Castle Street is a wide principal street which leads from the heart of the town up to the Castle and beyond to Farnham Park, which comprises of some 300 acres of parkland. In the heart of the town there is easy access to the extensive cultural, shopping and educational facilities. There is a mainline station providing a regular train service to London Waterloo within the hour and excellent access to the A3 and A31 with principal routes to London, the airports and south coast utilising the national motorway network of the M3 and M25. The surrounding area of Farnham is noted for its extensive open countryside and National Trust Land with excellent opportunities for walking, riding and country pursuits. You access this charming first floor apartment directly from Castle Street through a communal hallway. There is residents car parking in Castle Street by way of parking permits and each property is allowed two permits. There are visitors passes available from the local authority. There is also access to a separate bin store area. Leasehold property. 156 years remaining on the lease, Service charge for 2017 was £538 per quarter which does include ground rent.